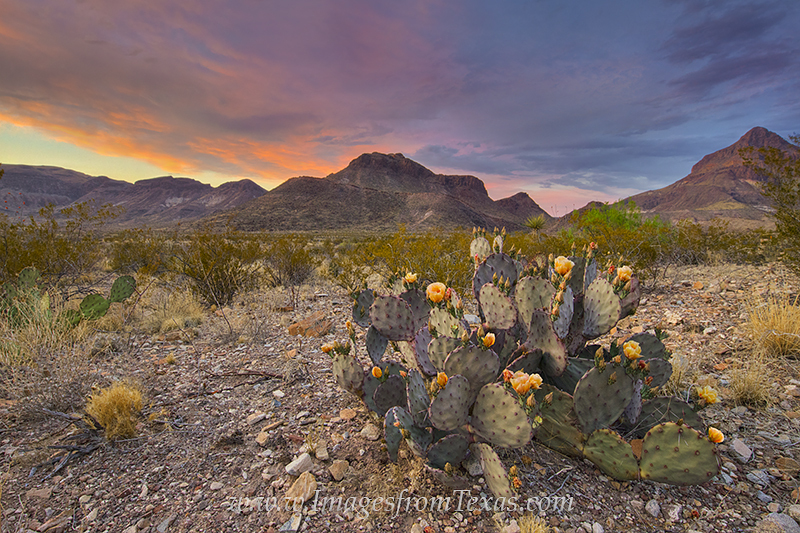 After a strong storm with rain and lightening passed through the western portion of Big Bend National Park, the skies were left full of turbulance and color. This prickly pear cactus and its flowers stands as a testament to the rugged and hardy nature of this desert - and that beauty can be found even in the harshest environments. Photo © copyright by Rob Greebon.